Online shoppers in the Asia Pacific region are reluctant to purchase directly from the websites of small- and medium-sized enterprise (SME) online retailers. This comes despite APAC consumers’ persistent appetites for all cross-border e-commerce with APAC shoppers spending an average of almost US$350 per year on such purchases. The global average is currently at US$300, said a FedEx-commissioned study conducted by Forrester Consulting. Meanwhile 57% of APAC respondents ranked doing online businesses with SMEs below multi-brand online marketplaces, brand or manufacturer websites and brick-and-mortar retailers. Also 46% of the APAC respondents who expressed concerns about buying direct from SME online retailers said their hesitancy stemmed from the difficulty in verifying the seller’s reputation or trustworthiness. So, what can SMEs do to attract more online buyers from Malaysia? Here are five key recommendations for SME online retailers. SMEs should pay attention to their international traffic and business. Most merchants that had started their international business unintentionally, through overseas customers finding them through web searches and online advertisements, need to monitor this traffic to inform future business strategy. SMEs should research how other merchants successfully market their goods. Research the logistics offerings and purchase processes of other SMEs. SMEs should decide whether to go broad or narrow. SMEs need to decide if they want to serve many markets or focus on a few key ones. This is usually dictated by whether the products on sale have broad appeal and consider the logistical feasibility of serving a chosen market. SMEs deciding to focus on a small number of key markets may choose to invest more in services such as website translations, web advertising, and broader payment offerings. SMEs should focus on limited geographies at first. Start with a low risk test bed market. Each country will have its specific requirements and complexities. Successfully meeting customer expectations in the initial markets helps to ensure success as SMEs expand their reach. SMEs should identify the right resources. The company’s international strategy and type of business is crucial in determining its selling and logistics resources – with particular emphasis on services and offerings that will matter to customers in the company’s target markets. For example, logistics providers that can handle international returns efficiently will be important for companies that offer return services to their customers. Meanwhile, survey done by Google last year also showed that 30-40% of Internet users in Malaysia go online while watching TV. Over 75% do it via a smartphone. Search is ubiquitous across devices with 76% of Malaysians searching for information at least once a month. Also around 81% of shoppers in Asia conduct research online before purchasing goods and services. This is a trend that is picking up among smartphones users in Malaysia as well with 41% of Malaysians conducting their search online. 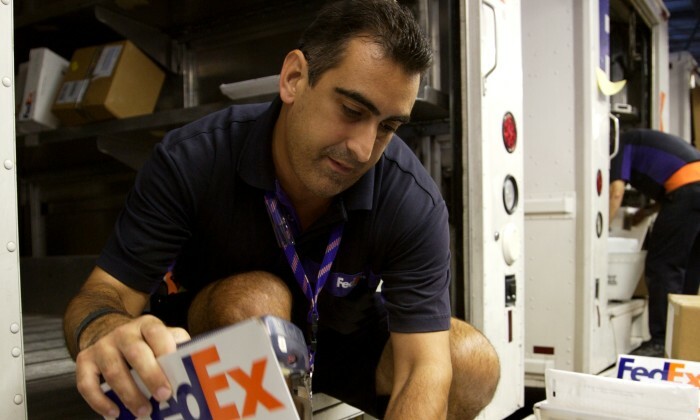 The FedEx survey was conducted with 9006 global online shoppers in 17 countries and regions. A total of 23 agencies were in the running for the account. .. The world-first public health message in the middle of a real adult movie features a demonstration of how to check for testicular ..